Are you looking to start a business working with WordPress or searching for ways to make money with WordPress? In this comprehensive guide, we explore dozens of ways to make money with WordPress, including WordPress money-making business ideas for non-technical users. Many people naturally assume they need to be technically inclined (e.g. a web developer, coder, programmer, etc.) to make money working with technical applications. As we explain in The WordPress Paradox, however, many aspects of WordPress such as building and setting up a website or blog, and using, managing, and growing a digital presence are becoming increasingly non-technical user friendly. This creates many great opportunities not only for technical service providers people like developers, coders, and designers to profit with WordPress but also for people with no web development or coding skills, like writers, teachers, trainers, instructors, marketers, consultants, sales people, and entrepreneurs. WordPress is the most widely used CMS platform in the world, currently powering over one-fifth (almost 28%) of all websites around the world and over 60% of all CMS-driven websites. The fully featured self-hosted version of WordPress is 100% free to download, use, and customize and premium WordPress plugins and themes are relatively inexpensive. 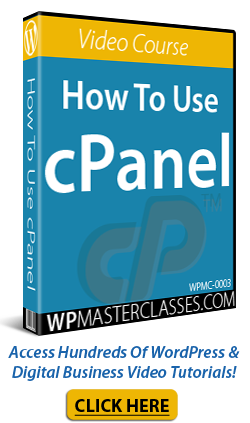 WordPress software, plugins, and themes are also easy to install and configure. This all adds up to fast turnaround times and excellent profit margins for businesses that sell WordPress services and products. According to a user survey of members of the WordPress community, around 25% of all WordPress users make a full-time living from WordPress-related services and earn an average of U$50 per hour. The global WordPress community involves so many people working in so many different areas, that it is often referred to as the WordPress economy. As WordPress continues to evolve and the uptake of the WordPress platform grows in popularity, the need to provide services to millions of WordPress users worldwide is only going to increase over time. It only makes sense, therefore, to explore different ways technical and non-technical minded people can profit with WordPress. If you’re a technically inclined person, you can take advantage of the free, open source nature of WordPress to develop products for other WordPress users and provide services to businesses, bloggers, internet marketers, etc. There is no shortage of opportunities to make money in the WordPress ecosystem, as the development of new services, technologies, and platforms to support WordPress leads to the creation of next-tier services, technologies, and platforms to support and enhance these. For example, WooCommerce, an e-commerce platform for WordPress, has created new opportunities for developing plugins and services that facilitate and enhance WordPress e-commerce. WooCommerce, then, also needs to be supported by people who understand it and can service the needs of WooCommerce users. Similarly, many WordPress themes are now being built using frameworks, which provide theme developers with a set of standards they can use to create their own themes and these require specialists to service the needs of specific framework users. Visit the official WordPress site (WordPress.org) and familiarize yourself with the WordPress Developer Documentation. If you’re interested in contributing to the development of WordPress itself, you can get involved with the WordPress Core Development Team. WordPress plugins expand and add new functionality to WordPress sites. To learn about many useful plugins, see our WordPress Plugin Tutorials. Learn how to develop useful WordPress plugins by taking an online course on WordPress plugin development. Develop plugins and extensions for WordPress-related services, such as WooCommerce and plugins that help integrate 3rd-party services with WordPress. Customize existing plugins (note: search online to learn how to avoid potential issues when customizing existing plugins). If you plan to build a successful plugin development business, it’s important to research the market first, as there are already thousands of excellent free and premium WordPress plugins available, covering almost every need and functionality imaginable. To get an idea of what kind of plugins you can develop, checkout the WordPress Free Plugin Repository (currently over 51,000+ plugins). To get an idea of the types of problems you can help WordPress users solve, join online discussion groups about WordPress on social media sites like Facebook and LinkedIn, forums, etc. Read the official WordPress documentation on creating plugins and the WordPress Plugin Handbook. 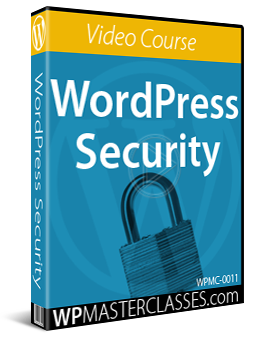 Take an online course on WordPress plugin development. After your plugin has been developed, you can promote and sell it on your own website and/or through various plugin/software marketplaces (e.g. CodeCanyon, WooCommerce). Develop a Freemium version of the plugin, then upload the FREE version to the WordPress plugin repository and let users know that they can upgrade to get additional features and functionality. Note: You don’t need to code your own plugins to profit from WordPress plugin development. You can outsource the plugin creation process, technical plugin support, plugin customizations, upgrades, etc. to experienced plugin developers (non-technical users can also profit from this method). If you have an interest or passion for web design, you can make money developing and customizing WordPress Themes. WordPress theme development requires skills in languages like PHP, HTML, and CSS, and becoming familiar with WordPress theme frameworks. You can learn how to create themes for WordPress by taking a WordPress Theme development course or watching WordPress theme development video tutorials. You can customize existing themes for clients. You can create child themes for popular and best-selling themes. You can sell your themes on your website and/or through various WordPress theme marketplaces and theme directories. Consider running an affiliate program. This will leverage your sales and marketing efforts and increase online reach and visibility for your products by getting other people to promote your plugins and themes to their web visitors, subscribers, clients, etc. Making money from selling WordPress themes requires more than just great web design skills. Like plugins, there are many excellent free and premium WordPress themes available, so you will need to do your research and put a sound business, sales, and marketing strategy together to successfully make money selling WordPress themes. If you have experience, knowledge, and skills with WordPress but don’t want to code plugins or themes, you can provide a number of WordPress web services to businesses and WordPress website owners. All businesses need a digital presence. Most small businesses, however, don’t need custom web development. As per our WordPress Business Digital Blueprint, most businesses can start with a simple WordPress site and grow from there. Installing WordPress is easy. You can offer to install WordPress for clients and upsell them additional services (see below). 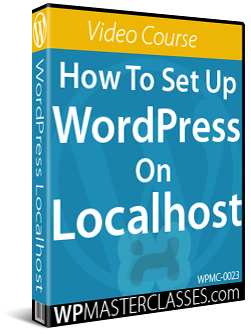 If you don’t know how to start, we recommend going our step-by-step WordPress Installation Tutorials to learn how to install WordPress and joining online groups for WordPress and business-related discussions. In addition to installing WordPress, you can also set up WordPress sites for clients. 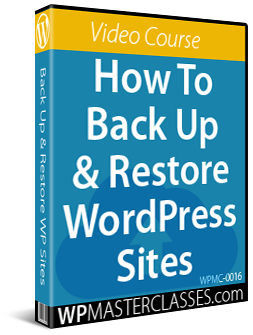 Setting up a WordPress site involves configuring internal WordPress settings, configuring WordPress plugins and themes, and configuring/automating processes for backups, search engine indexing, traffic generation, etc. using a combination of internal WordPress settings, plugins, themes, and third-party services (e.g. Google Analytics). If you don’t know where to start, we recommend going through our step-by-step WordPress Configuration Tutorials to learn how to expertly configure a WordPress site. WordPress Themes have revolutionized many aspects of traditional web design. If clients want to create a certain ‘look and feel’ for their sites, there’s no need to design and code page layouts from scratch with WordPress. Just help your clients pick a suitable theme from the many great WordPress themes that are already available, install the theme on their site and adjust, edit, fine-tune, or customize theme settings. Design services for WordPress developers: Web and plugin developers need to provide their users with great UI (User Interface) and UX (User Experience). If you find plugins or themes that could do with an improved design, why not approach developers and offer your services? Design services for WordPress users: If you have graphic design and image editing skills (e.g. Photoshop), you can also provide general design services to WordPress users creating, editing, or improving their logos, images, banners, theme headers and footers, social media pages, etc. WordPress makes the process of building websites easy, fast, and inexpensive. If you know how WordPress features work (e.g. the CMS platform, themes, plugins, widgets, posts and pages, etc.) and how to plan, install, and configure a WordPress site, you can build professional and affordable websites that will help your clients establish their brand and grow their business online. Many businesses lack the time and skills to manage and look after their websites. No business, however, wants to see that their site is down, hacked, or affected by errors and problems. This means opportunities for providing WordPress support services. All websites need maintenance. This includes performing regular tasks that ensure sites are kept up-to-date, backed up, protected, and secure. For more information, see our WordPress Maintenance Tutorials. In addition to maintenance, WordPress sites also need management. 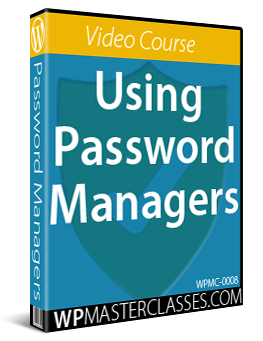 This includes managing domains, web hosting, emails, passwords, users, content, etc. Your services can range from performing basic WordPress maintenance tasks like updating the WordPress core software, plugins, and themes and backing up site files and data, to offering a complete website management service, where you look after clients’ webhosting, website, and web content management. Businesses will occasionally experience errors and problems with their websites that require technical support. Technical support services can include anything from troubleshooting errors and problems to providing ongoing technical support in areas like WordPress management, optimization, and security. Self-hosted WordPress sites need webhosting. If you plan to run a WordPress-based agency for small business clients, you may want to consider offering to host your client sites too. You don’t need to start your own webhosting company. Many hosting companies offer reseller hosting. 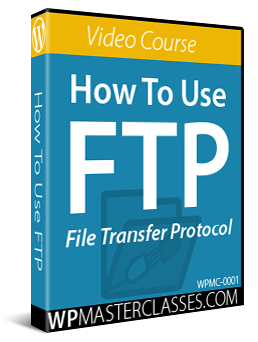 This allows you to purchase hard drive space and bandwidth or a dedicated server and resell hosting packages to clients. To learn more about WordPress hosting, go here. Businesses need help with all aspects of their digital presence, from building websites to planning, managing, growing, and promoting their business online. Providing advice on how to set up a self-hosted WordPress site or blog on a domain, choosing hosting services, plugins, themes, etc. Helping clients plan out their digital business presence, including developing plans for digital management, digital marketing, blogging content, SEO, etc. Documenting technical, management, or marketing processes for clients, so they can maintain control of outsourced digital processes. If you need help in this area, we recommend starting with this resource: The Small Business Digital Manager. Most businesses need to be educated about the benefits and advantages of using WordPress and new WordPress users need training to get better results from their WordPress sites. New WordPress users need to be shown how to use their websites. Teaching businesses about WordPress and training new website owners how to use WordPress can take place online using video conferencing or live in 1-on-1 or group meetings, workshops, computer labs, etc. 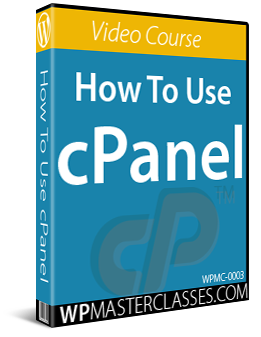 New WordPress users need training materials. 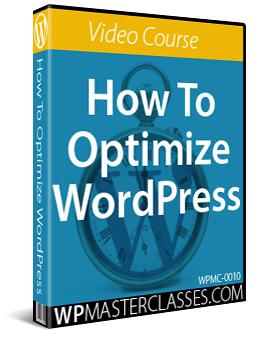 You can make money creating WordPress training courses and materials like WordPress training videos, tutorials, guides, etc. As WordPress educators and trainers, we have found that there are significant challenges when it comes to educating businesses about WordPress and training new WordPress users. We address some of these challenges here. To help others address these challenges, we have developed a WordPress User Training Guide and a WordPress Training Plugin that can be installed on client sites, allowing users to access WordPress tutorials and videos from their own dashboard. As stated earlier, you don’t need to be technically minded to make money with WordPress. In fact, you can provide services to businesses and other WordPress users without any knowledge of coding or web development just by following our step-by-step tutorials. 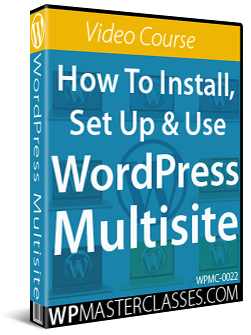 Once you know how to install and configure a WordPress site and how to use WordPress features like plugins, themes, widgets, etc. (which you can learn by following our step-by-step tutorials), you can find lots of ways to profit with WordPress that don’t depend on having technical skills. In fact, your services don’t even need to be WordPress related, as WordPress users experience the same problems and challenges all website owners and businesses face, especially in areas like content creation, online marketing, traffic generation, lead generation, etc. Many busy WordPress site owners need help with online aspects of their business. Although many tasks performed by virtual assistants aren’t specific to WordPress (e.g. processing emails), having knowledge of WordPress can be very useful in areas like uploading and managing content, moderating blog comments and comment spam, running tasks inside the WordPress administration area, retrieving reports from plugins, etc. Content is the currency of the Digital Age. Millions of websites are powered by WordPress and every website needs content. Most website owners, however, are too busy to create content for their sites. WordPress is used for building websites in every conceivable niche. This means loads of opportunities exist for knowledgeable and experienced writers and for people with a diverse range of passions and interests (e.g. travel, fashion, health, fitness, finance, etc.) 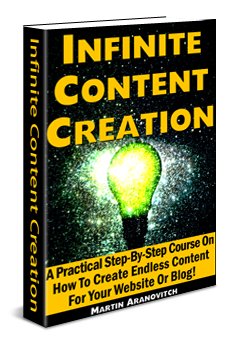 to make money creating content to help busy WordPress site owners grow their presence online. Pick a niche to specialize in. Unless you plan to compete against thousands of general freelance article writers bidding for cheap article writing projects, you will do better by specializing in an area where businesses will pay you for your expertise. Target businesses in your niche. How you choose to structure your content service is completely up to you. For example, you can create content to meet individual client specifications or create content that you can sell repeatedly to different clients (e.g. with Private Label Rights). When it comes to article writing, making money with WordPress isn’t just restricted to writing content about WordPress. Article writers who know how to use WordPress have a distinct advantage when it comes to creating content for other WordPress users. Many article writers pitch the ‘time-saving’ benefits of using their article writing services to clients, then deliver content in MS Word, requiring clients to spend time cutting, pasting, and reformatting content before publishing. You can increase the value of your content writing services to WordPress users by providing a time-saving “done for you” service where you provide expertly written ‘publish-ready’ content clients can easily import into their WordPress sites using the WordPress import and export feature and quickly schedule for publishing (or you can offer to do this for them). Another variant of writing articles and blog posts for businesses with WordPress sites is to provide businesses with content for newsletters and autoresponders. As newsletters are normally distributed privately to subscribers, you can turn newsletter writing into a profitable business by creating a master product that can then be sold repeatedly to different clients. In addition to writing articles, blog posts, and newsletter content. You can create lead magnets and special reports that clients can add to their WordPress sites to grow their subscriber list. These can be written from scratch, or compiled from existing site content using plugins (e.g. Designrr). Graphic services for WordPress users include branding elements and icons, logos, ad banners, featured post images, infographics, memes, etc. Most businesses, however, lack the time and skills to create videos themselves. As we discuss here, there are many great and inexpensive video tools and services that allow you to start a video services business. Are you more interested in providing digital marketing services and building a revenue base that can pay you a monthly recurring income? If so, then the methods described below offer you many exciting possibilities for making money with WordPress. Businesses with an online presence need traffic. As we explain in our WordPress Configuration Tutorials, a WordPress site can be configured to drive traffic automatically from search engines, social media, and other online directories and sites when new content is added. You can help WordPress site owners generate traffic to their websites using methods and tools such as online advertising (e.g. banner ads and pay-per-click), press releases, etc. You can help WordPress site owners generate traffic to their websites by configuring their site’s internal settings, installing and configuring SEO, social media syndication and traffic-getting plugins, and integrating these with various external services, social media and bookmarking accounts, etc. Once their WordPress site has been expertly configured, you can provide a complete traffic generation service by planning, advising, or managing their content marketing strategy and content creation process. If you know how to generate traffic for a client’s WordPress site, then you can also generate traffic for your own WordPress site, or provide consulting and training services for generating traffic with WordPress. In the next section, we cover money-making opportunities for driving traffic from your WordPress site to other businesses, such as building directories and leasing traffic from rental sites. Businesses generally want to drive more traffic to their websites because they want more leads. You can provide ‘straight up’ lead generation services to WordPress site owners using various methods and tools such as social media marketing, email marketing, mobile marketing, press releases, lead capture services, cold-calling, etc. Many lead generation, email marketing, and autoresponder services integrate directly with WordPress. You can help WordPress site owners configure lead generation systems and processes on their site using lead generation and list-building plugins, connecting these with autoresponder services, etc. and even provide a complete lead generation service by also helping them plan, advise, or manage their traffic generation and email marketing strategy. Just like traffic generation, if you know how to generate leads for a client’s WordPress site, then you can also generate leads for your own WordPress site, or provide consulting and training services for generating leads with WordPress. In the next section, we cover money-making opportunities for generating traffic from your WordPress site to other businesses, such as building directories, selling leads, and renting or flipping lead generation sites. You can make money helping WordPress site owners convert traffic into more leads, more newsletter subscribers, more sales, and more customers. This is where you help clients understand, plan, design, and implement an effective sales process on their sites. You can take a more ‘hands-on’ approach where you actually set up and manage their sales funnels and client conversion systems using various methods, plugins, themes, etc. There are many ‘done for you’ services you can offer to WordPress users. You can offer everything from website installation, site management, technical support, content writing, online business automation, and online marketing services, to a fully managed digital service for clients. This can also extend to setting up and managing an affiliate program for clients, recruiting affiliates, and creating affiliate training materials. Do you want to capitalize on the worldwide growth of WordPress but don’t want to build, manage, or promote other people’s WordPress sites? Then why not profit from your WordPress knowledge by building your own sites and starting your own business(es) online? You can start a profitable business online and create additional streams of revenue with just a WordPress site, a theme, and a few plugins. You can make money with WordPress by starting a blog in a profitable niche and building a growing and loyal online readership based on providing visitors with valuable content. You can blog about anything you like and have a passion for or expertise in (e.g. travel, fashion, health, fitness, finance, etc.) and incorporate various money-making strategies to generate multiple revenue streams from your blog. Promote Your Own Products Or Services – If you have physical or digital products or services, you can set up a blog to educate the market and promote or sell your products or services online. Promote Or Review Affiliate Products – You can make money promoting other people’s products or services on your blog and receive sales commissions when people purchase through your affiliate links (Learn more about affiliate marketing with WordPress). Become A Niche Expert Or Industry Authority – You can become an expert in your niche by blogging about new developments in your industry, reviewing the latest products, interviewing experts, providing your opinions on events, etc. If you already have expertise in a niche or industry, developing an authority site can lead to many profitable opportunities, such as getting paid to endorse products (become a brand ambassador or social influencer), selling podcasts, reports, books, seminars, workshops, webinars, subscriptions, etc. WordPress Monetization Plan – You should have a clear idea of how you plan to monetize your WordPress site or blog, e.g. advertising, affiliate products, AdSense, e-commerce, opt-in lists, etc. Content Marketing Plan – Your content needs to attract and engage your readers, especially if you plan to attract advertisers, promote affiliate products, or build a responsive subscriber list. Do you have physical goods or digital info products to sell online? WordPress e-commerce themes and plugins let you easily set up full-featured e-commerce stores to sell your products or services online with automated shopping cart ordering and secure payment processing, coupons and discount offers, customer registration and updates, product delivery, invoicing and receipts, and more. Additionally, you can use WordPress and e-commerce to build and run dropshipping stores. Dropshipping is where you sell products online and the product manufacturer then fulfils your orders (you then pay the manufacturer and keep the profit from the sale). If your content is too valuable to share with others online for free, you can set up a private membership site and charge users to access your information. With WordPress, you can easily build and automate membership sites. Depending on the type of membership site you plan to build and the plugins you use, you can offer users access to different membership levels, automate member registrations and automatically send login details, schedule and deliver users level-specific content (e.g. drip-feed content), process subscriptions and upgrades, add member details to different subscriber lists, and so much more! An e-Learning or e-Course site incorporates features found in e-commerce and membership sites with a Learning Management System (LMS). You can build WordPress sites to promote and deliver one or many e-courses with course grading, quizzes, sequential modules, etc. WordPress makes available dedicated LMS themes like the LMS WordPress Theme or plugins like WPCourseware, which lets you build e-courses using any WordPress theme you like. You can build a business directory site for different industry sectors, niches, local communities, organizations, etc. using WordPress themes like Vantage or Geocraft, or plugins like the Business Directory Plugin. You can easily build an event listing website with WordPress to promote events, seminars, workshops, festivals, conferences, meetups, exhibitions, conventions, etc. using an event registration plugin like EventEspresso or WP EventManager. You can easily run classified ads on your WordPress site and make money letting users list items for sale on your site using a theme like ClassiPress or a plugin like Another WordPress Classifieds Plugin. Do you want to make money online connecting job seekers, freelancers, contractors, etc. with employers? Then build a ‘jobs board’ or recruitment website using WordPress with a theme like JobRoller or a plugin like WP Job Board. With WordPress, you can incorporate the above and other types of directory sites into your existing digital presence, even if your existing website was not built with WordPress. For example, depending on your hosting setup, you can add multiple WordPress installations into subfolders of your domain and use different WordPress themes and plugins in each of these installations to set up a blog and/or directories for selling bookings and reservations, rentals, auctions, etc. You can make money with forums in various ways, such as charging fees for premium-access, or running a free forum with advertising, etc. 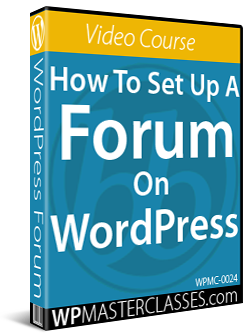 You can easily set up a discussion forum inside WordPress and build a community online using a plugin like BBPress. Some WordPress plugins and themes allow you to import data feeds into your site and populate your pages and posts with hundreds or even thousands of affiliate products. 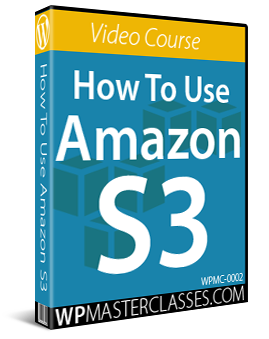 For example, you can use plugins to build an Amazon affiliate store, or use a plugin like Datafeedr to build affiliate stores that combine products from hundreds of different stores, or various other plugins that use feeds and APIs from different companies to build affiliate stores for all kinds of industries and niches. Here is an ‘out of the box’ idea for making money with WordPress. Think about how many businesses pay money to list or advertise in directories, hoping to attract more customers. With most industries (e.g. legal, financial, travel, health, etc. ), the same content will work for different individual businesses. For example, if your site has 100 articles about ‘caring for pets’ (or ‘dental hygiene,’ or ‘travel destinations’) and all articles on your site end with a general call to action (e.g. ‘click here to book an appointment’), then all of your site’s content would work for almost all businesses providing pet care services (or dental hygiene, or travel services). You could build sites filled with original content targeting different niches and geographical locations, drive traffic and improve search rankings for these sites, and then either lease these sites to local businesses for lead generation or sell them exclusive branding or advertising rights for a recurring fee. Leasing virtual real estate is not dissimilar to leasing physical real estate. With a high-trafficked, high-ranking website, you can lease digital ‘real estate’ while maintaining control and ownership of the underlying asset (i.e. the domain), sell ‘signage’ advertising by letting your tenants brand your site with their logo and company details, and even let them do internal ‘fitouts’ by adding their information to the home page, ‘about’ page, contact page, etc. Your clients can pay you to manage the site and add content, change the theme, add plugins, etc. This can work for a high value website. Your client leases the site for an indefinite or agreed period of time, after which they have the option to buy it from you and apply their ‘rent’ installments towards the full purchase price. In the meantime, they can run the site however they like (tip: keep a full backup of your site so if things don’t work out with a tenant, you can delete your WordPress site, reinstall your backup, change the password, and lease it to someone else). If leasing your website seems too complicated, you can just sell it. Sites like Flippa also allow you to buy and sell domains. Unless you have a truly valuable domain name, however, domains alone typically have far less resale value than domains with an established website that is already bringing in traffic and/or revenue. Do you own a great domain name that you’re just holding onto as a future project, or a domain that you eventually plan to sell but don’t want to spend too much time developing? Instead of just letting your domain sit there, you can monetize it using a theme like CovertVideoPress, which lets you create a video website that automatically imports content from video sites like YouTube, creating pages around the keywords you specify, which you can then monetize with AdSense, links to affiliate product, etc. …. Don’t expect to make much money with monetized parked domains, but at the very least, it could earn you enough to cover the costs of renewing the domain until you are ready to sell it and put a few extra dollars in your pocket. Be the product of the product. If you want to help clients build a successful digital presence with WordPress, then build your website and your success with WordPress too! Everything you do to build your business using WordPress will add to your knowledge and experience and can be turned into a sellable service. Focus on solutions not services. When thinking about the services you can provide, focus on the problems you will help businesses or clients solve with your services. You can find out what problems businesses are experiencing by joining a business network and online discussion groups. Educate and empower others about WordPress. The more you educate and empower people, businesses, and new WordPress users about the benefits and advantages of using WordPress, the more WordPress products and services they will want to use. This benefits you, your clients, and the global WordPress community. It’s win-win-win! If you need to build up your technical knowledge of WordPress, consider starting out by contributing to the WordPress developer community as a volunteer. There are many ways to get involved and contribute to improving WordPress, like helping with development and design, providing user support, adding to the WordPress documentation, helping to translate WordPress into other languages, improving accessibility, improving mobile apps, reviewing themes, etc. If you are interested in connecting with other WordPress users and developers in your local community, check your WordPress dashboard for details of local WordPress meetups and WordPress-related events. When your WordPress-related business is up and running, consider listing it in our WordPress Services Directory. We refer visitors who need additional help with WordPress to this directory in many of our tutorials. Hopefully, this guide has provided you with a number of money-making ideas and helped you see just how much opportunity there is to profit with WordPress. Businesses need a digital presence and WordPress is the leading platform for building a business web presence. WordPress powers almost 28% of all websites around the world and dominates the market for CMS-driven sites. The continued growth of WordPress worldwide provides many new opportunities to earn money and generate new revenue streams servicing the WordPress user community. You can make money providing a range of services to businesses that do not yet have a digital presence, from developing websites, to teaching businesses about the benefits and advantages of using WordPress. Businesses in all niches use WordPress to power their sites and need help with digital marketing and digital management. You can make money providing a range of services to help businesses get better results online, e.g. consulting, virtual assistance, content creation, traffic and lead generation, management, security, optimization, automating marketing processes, etc. Once you know how to use WordPress, you can make money providing services to clients, build your own money-making sites, or do both, even if you lack technical skills like web coding. With WordPress, there is no limit to what you can do, where you can go, and how much you can earn. We hope that you have found this guide to making money with WordPress useful and we wish you great success with your business! Images used in this post were sourced from Pixabay, Shutterstock, and iStockPhotos. Originally published as Make Money With WordPress – The Complete WordPress Money-Making Guide.